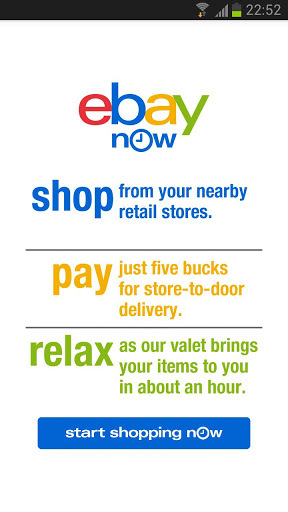 According to the description produced by eBay (App Developer) - "The eBay Now Application is super easy to use. Once you’ve found what you’re looking for, just hit “bring it.” Our valet will pick up the items and deliver them to you. You pay with your Credit Card or PayPal account. 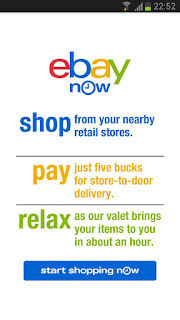 Shopping has never been this easy, and same-day delivery has never been this fast." So don't worry much about using the App - Just Pay for the item (plus a $5 delivery fee) and track the progress of the valet as the item is picked up and transported to you, then it shows up in an hour. This is just an example of another super-laziness modern technology is bringing.